Politics – that dreaded topic that so many keep trying to say, “We don’t want it in our fantasies/hobbies!” As we’ve mentioned before, however, you can’t escape politics. 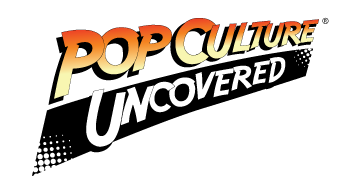 They’re in everything from comics to movies, and always have been. Tabletop games aren’t immune either, although the appearance of political issues is probably less common or pops up in unique ways. From political themes to outright explorations of social issues, you’ll find some exciting board and card games focused on politics. This Tabletop Tuesday, let’s explore not only some approaches to politics in tabletop gaming but also a few favorite examples. Technically, you could consider almost any game about historical events as “political,” from simple card games to the most infamous war simulations. War games are probably the most well-known, including Vietnam and the War on Terror, although these games are complex, take hours to play, and usually aren’t for your average tabletop group. A few historical games are less complex and faster to play; 13 Days: The Cuban Missile Crisis and Cold War: CIA vs KGB are both based on Cold War-era events and usually finished in under an hour. For those interested in less war-based themes, then you can explore everything from slavery, with Freedom: The Underground Railroad, to literal politics, with 1960: The Making of the President. Most of these games, however, are about events that took place decades (or even centuries) ago, and may not qualify as “politically-charged.” There are a few examples, however, of games that are based on more recent events with significant political messages. This War of Mine explores life and survival in a war-torn city like those found in Eastern Europe or the Middle East. The political message is one of the horrors average people face, and the tough decisions they must make when stuck in a war-torn land. Campaign Manager 2008 may be a decade out-of-date, but its exploration of recent US elections is no less relevant. The tactics used during presidential campaigns, and its emphasis on how the two-party system is manipulated, is probably even more pertinent in today’s political atmosphere. Some games may have loose origins in historical or current events, or merely find a basis in politically-charged themes. The designers had no intention to make a historical simulation, but instead want to explore the politics behind those events. We explored one of these a while ago in a previous Tabletop Tuesday, with Sigmata: This Signal Kills Fascists. Secret Hitler is one of the breakaway successes, where the liberal majority must discover the fascists (and their leader) before it’s too late. This party game of conspiracy and treachery is a no-holds-barred exploration of the rise of nationalism and fascism. Party games remain some of the most popular ways to explore politics, which makes sense given the use of human interaction (and betrayal). Mafia, Coup, and Nuclear Escalation are all favorite examples where social interaction drives the players toward political decisions. Another way tabletop games explore politics is through science-fiction; the future has always been an allegory for our current struggles. From the corporatocracy of New Angeles to the economic collapse in Crisis, players face modern political issues in the guise of a high-tech world. Probably the most controversial, games that explore social issues often receive rave reviews, heavy criticism, or both. Not content to explore historical (or current) events or basic political themes, these products directly address the social and psychological issues underlying our society. Some games may be cooperative and straightforward, choosing to emphasize certain ideologies; for example, Co-opoly encourages the “controversial” idea of public- or group-owned cooperatives and working together. 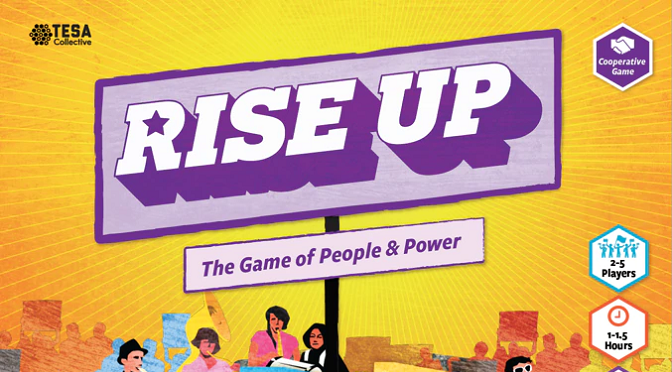 On the other end, Rise Up: The Game of People and Power explores political movements, fighting the system, and changing society through protests. Like politically-themed games, some designers want to challenge social issues through social play. Right or Racist makes players confront their bigotry by watching as they label something as a fact or a stereotype; Loud and Proud is a word-association game where people answer the first term that pops in their head when presented with a social or political idea. The most ironic aspect of these games is the complaints that things have gotten “too political,” when these products have existed for decades. In the 1970s, Psychology Today produced several games that explored both race-relations and gender inequality. As usual, no one is forcing anyone to play games based on history, current events, politics, or social issues. The fact remains that these games are everywhere, many of them with high ratings or favorable reviews, and we can expect more in the future. Whether you want to explore the United States’ early government or fight fascism with space cats, politics and social issues will remain a significant theme in tabletop gaming. And remember: the goal in these games is not necessarily to win, but to change.